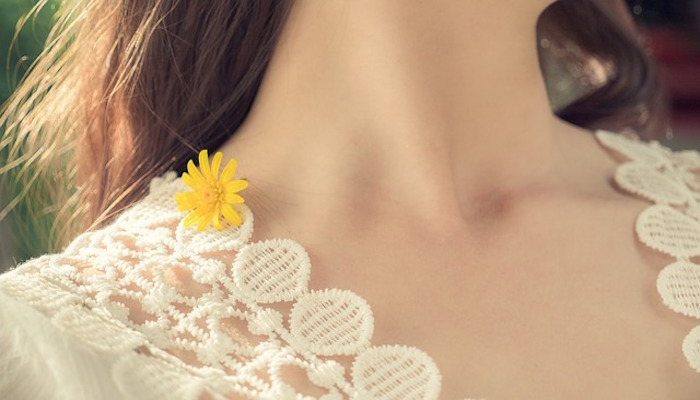 When getting old, the neck area is the most considered the critical spot. there's a lot of women out there despite being beautiful and impeccable when you look at the neck it tells the age of a woman. One of the signs when your getting old is wrinkles on the neck or stirred skin. if you want to avoid this to happen early, you need the right skin protection. like our face, the neck is also sensitive so its the best way to do that is to make your skin elasticity strong by following and create the new rhythm to your lifestyle. The cause of wrinkles on the neck is the diminution of collagen and elastin, which naturally make the skin firm, in the deeper layers of the skin causing the skin to crumble and wrinkle. It could scale from different reasons like smoking, unbalanced diet, dehydration, pollution, laughing too much, sun damage and sleep. 1. Avoid more exposure to sunlight. 2. Avoid more exposure to cigarettes and any kind of pollution. 3. Make a daily routine to massage your neck. 4. Make sure that your head and chin always on the straight position especially when your lying. 5. Always maintain an eight glass of water every day. 6. Choose the low pillow to sleep. 7. Always put a cut of potatoes on your neck two or three times a week because it can detoxify your skin and erase the pores. may some of you there probably don’t pay attention to little logos on your beauty products because they'd just so vague. have you noticed a little symbol on a jar or tub of your beauty products? hey! that’s your beauty products expiration date, From when you open that product for the first time, that number is how many months that the product is usable. It won’t necessarily rot or disintegrate past that time, but that is how long the company can claim the product is effective, basically (by stylecaster.com). as one of those woman who don't mind and never look of that little branding logos of my beauty products, I've made a curiosity researched if what is the effects I'll get of using an expired cosmetics? and I ended up to a lots of negative answer everywhere. 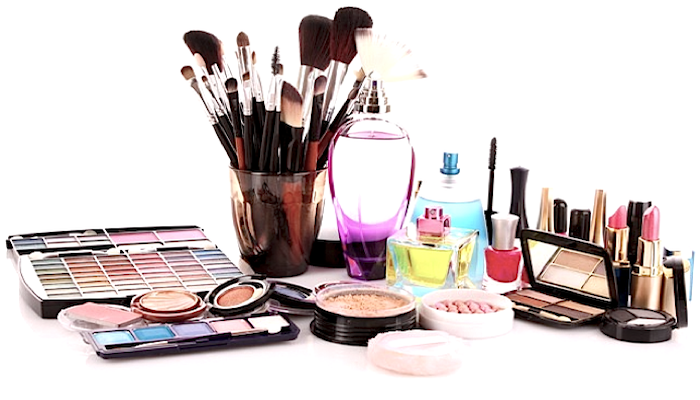 as we know all the make up consist a lots of chemicals and elements and their elements also play their role on a proper time limits. and after their time limit passed they also lose their liveliness. so if you apply it to your skin it will leave a very harmful result, your skin will cause a lots of pimples and freckles will starting to appear. * Mascara - using expired mascara Mascara can be a ground for bacteria, so it's not surprising if you've found your eyes getting itchy, watery and red eyes. * Lipstick - using an expired lipstick can be caused your lips super dry. * Foundation - using an expired foundation can caused your skin a damage like pimples and freckles. * Nail Polish - expired nail color can make your nails texture unstable. * Perfume - expired perfume can cause your neck irritated. * Eye shadow - using expired eye shadow can cause itchy and more. if you care your skin throw away that expired cosmetic to save your skin for any bad reaction. some women exfoliate their faces but forget about other body parts. As the weather heats up is also beginning to damage our skin, you should exfoliate all over. Exfoliation is also important before applying tanning products or when rejuvenating skin.below tips are proper ways of body Exfoliating. 1.Before stepping into the shower, brush your dry skin with your loofah, body brush or exfoliating gloves. This will help remove the loose skin and prepare your skin for the exfoliating process. Begin with the soles of your feet, working your way up your body. 2. Get into the shower and wet your body from head to toe. Don't exfoliate your skin if you are sunburned or have any open cuts or wounds. 3. Use a pumice stone on your feet to eliminate rough spots and calluses. If your feet are extremely rough, soak them in a basin of warm water mixed with a cup of milk for 30 minutes before getting into the shower. 4. Apply your exfoliating cleanser to your loofah or gloves. Begin scrubbing your body in a circular motion starting with the bottoms of your feet and working your way up. When you reach the bikini area, don't scrub too hard because the skin is very sensitive. 5. Use a body brush to exfoliate your back and other hard-to-reach places. 6. Be gentle on your face, particularly around your eyes and mouth. Use an exfoliating product especially formulated for the face, which is gentler than products designed to be used on the body. 7. Don't forget about your hands. You want them to look and feel soft and smooth too! 8. Rinse your body with lukewarm water, and follow with the coldest water you can stand. Apply a shower gel to soften your skin, if you'd like. 9. After stepping out of the shower, apply a moisturizing body lotion all over. Body lotions and facial moisturizers containing alpha or beta hydroxy acids are ideal choices because these acids continue to remove dead skin cells. 10. Use body moisturizer lotion once a day. Exfoliation is drying to the skin, so you must keep your skin hydrated. Select exfoliating cleansers that contain sea salt, sugar, ground almonds, walnuts, seeds or other grainy components. Exfoliating once or twice a week is usually enough to achieve silky skin; however, women with oily skin should exfoliate more often than those with dry skin. If your skin becomes excessively dry or irritated after exfoliation, don't scrub so hard. Cut back on how often you exfoliate, and explore the possibility that you may be allergic to the products you used.